Asante Sana (Thank You Very Much) For Your Support! Without the support of the community, there is no Uhuru Academy! We have been blessed to receive the support from so many parents and partner institutions; and the more support we receive, the more effective our services to the community! 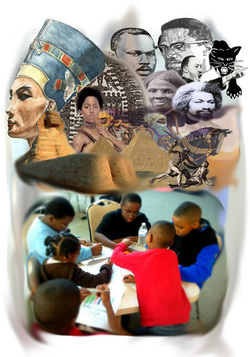 We are being as creative as possible when it comes to creating new ways for you to support The Uhuru Academy! We not only need money, we need ideas, resources, and supplies! We will soon be attaching a "wish list" for all to see. Until, then feel free to donate to us through Pay Pal or to contact us at 682-233-5054 or uhuru4youth@gmail.com for all other means of support. Asante Sana for your contribution! Contribute and Invest Here!!! Asante Sana! Now you can make a monthly automatic debit contribution to the Uhuru Academy! Solidify your commitment to independent education by making a monthly contribution to our institution! Asante Sana for your Commitment!